Chipotle’s arty marketing decrying factory farms and food processors won awards at Cannes and elsewhere, but behind the scenes, the agriculture industry is fuming. The opposition came to a head June 16 when Texas Agriculture commissioner Todd Staples cried foul over the burrito chain’s new plan to buy grass-fed, antibiotic-free beef from Australia. 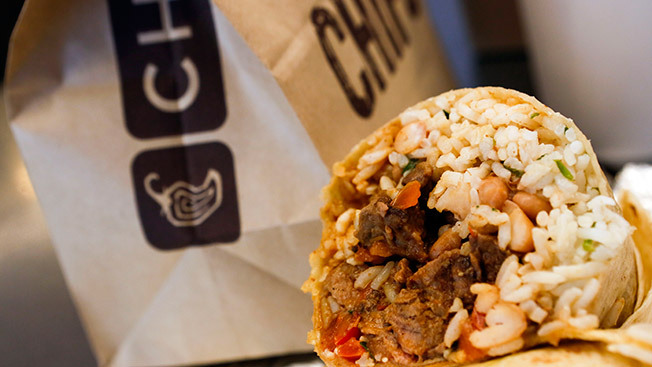 Chipotle says it can’t find enough beef in the U.S. that meets its standards, so it has to go overseas. In an open letter, Staples chided Chipotle founder and co-CEO Steve Ells for his "misguided and irresponsible declaration that the meat from Australia is somehow more 'responsibly raised' than meat produced by Texas ranchers." The commissioner also sent out a statement that said: "Steve Ells should get together with Texas beef industry leaders to have a real discussion about 'meating' their needs. I encourage Chipotle diners to push Mr. Ells to work with us." Commissioner Staples is oversimplifying the problem, countered Chris Arnold, a Chipotle representative. "We hope to get all our supply domestically, but it’s not available yet. We plan to talk to the commissioner about our protocol and standards, but cattle are raised for 30 months, so it would be more than two years before we could buy Texas cattle that meet our needs." Chipotle CEO Steve Ells sent a letter to the Texas Agriculture commissioner dated June 24, which states in part: "The majority of the beef we serve will continue come from the U.S. … I would be happy to provide more information about our sourcing protocols to you and your team, as well as any ranchers interested in supplying beef to Chipotle." The restaurant chain has met with several rancher and agriculture associations that are upset with the company’s marketing messages, said Arnold. “We are perplexed that we are seen as bashing the agriculture system. We know we can’t run our business without our farm partners and we respect farmers whether they met our standards or not,” he said. The tussle with Texas cattle ranchers could give Chipotle a chance to demonstrate its brand values, said experts. "This brings more attention to the lengths Chipotle goes to do what it believes is responsible, which, like the pied piper, will drive more diners to its doors," said Tom Bernthal, CEO of Kelton, a brand consultancy. "Their customers aren’t rural, they’re in cities. For that audience, the brand position that agriculture is headed in the wrong direction sells," he added. "Despite its growth, Chipotle is perceived as David going up against Big Food,” said John Marshall, global director of strategy at branding firm Lippincott. In order to stay human, the company needs to talk openly about its progress in its carrying out its mission. To deal with controversies like this, "it needs to focus as much on dialogue as it does on marketing," Marshall said. In the meantime, Chipotle is working with the food service industry to find tech-savvy solutions to deal with these types of growing pains. It is a collaborating partner, along with Google and others, in Hack/Dining NYC on June 27-29. The event brings together engineers, programmers and chefs to work on tough problems, such as improving supply chains for high-quality ingredients.